Good Afternoon Everyone! Today I want to share with you a CDD Sweet Wishes Ladybug Card that I made. To make my card first I created the card base out of basic shapes in Design Space. I then uploaded the digital stamp and sized the image to fit my card perfectly. Once I was happy with my design, I then cut out the digi stamp and card base in plain card stock. Next I used my Big Shot and the Fancy Frames Dies to cut my mats and banner from patterned and plain card stock. I then inked and chalked the edges to create dimension and shape. 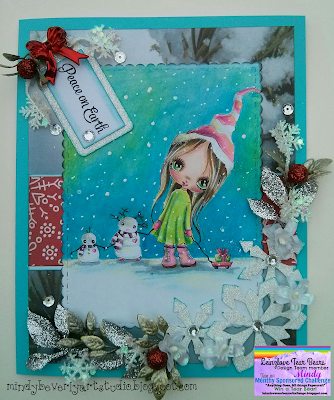 After that I attached the mats to my card base and then stamped the sentiment with the Sweet Wishes stamp. Happy Thursday! 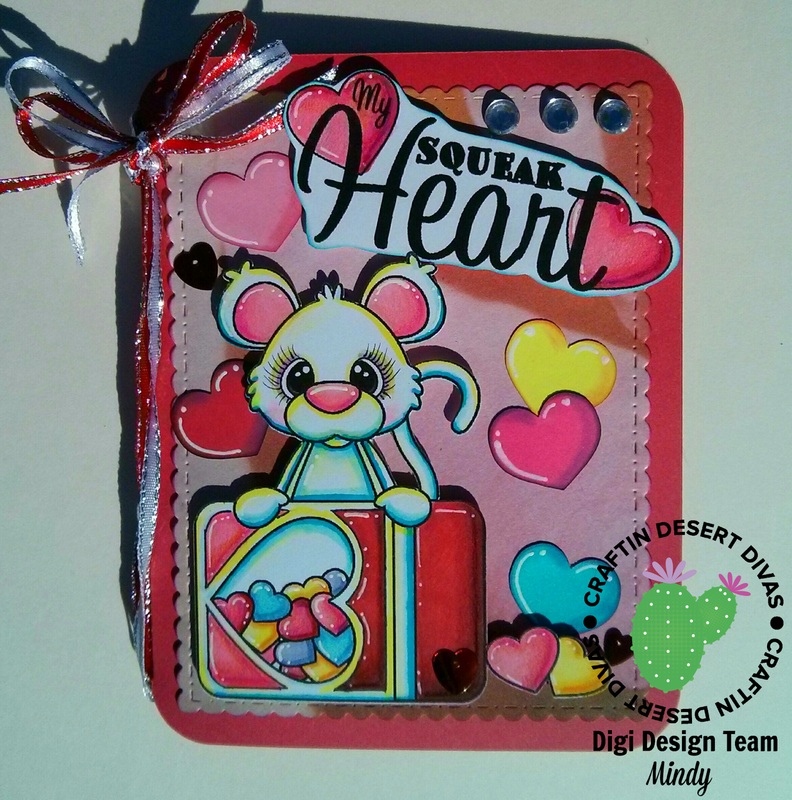 Today I want to share with you a My Squeak Heart Card that I made! 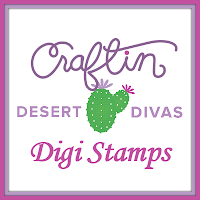 For my card I used the Super Cute Digital Stamp called My Squeak Heart from Craftin Desert Diva's that you can find here: http://craftindesertdivas.com/my-squeak-heart-digital-stamp/. I also used the Fancy Frames Dies that you can find here: http://craftindesertdivas.com/fancy-frame-dies/. To create my card first I made the card base out of basic shapes in Design Space. I also added some hearts and sized them to fit my card for the extra candies. 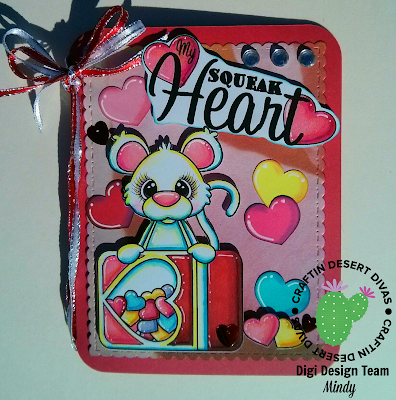 After that, I uploaded the Squeak Heart Digital Stamp and sized the image to fit my card perfectly. I then cut out the card base and hearts with my Explore in plain card stock, and used the print then cut feature for the digital stamp. Next I used the fancy frames dies and my Big Shot to cut out the patterned mat for my card. I then inked and chalked all of the paper edges to create dimension and shape. Next I colored the digital stamp with my Copics and Prismacolor Premier Pencils. I then attached all of the elements to my card base and added ribbon to the spine of the card. 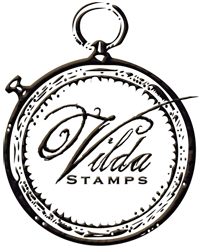 To create my tag first I made the tag base out of basic shapes in Design Space. Next I sized a heart for the shaker window and sliced it from the front panel of my tag. I then uploaded the Bird and Tree pattern from LSHD and sized the image to fit my tag perfectly. Once I was happy with my design, I then cut out all of the pattern pieces in plain, and glitter card stock. Next I inked and chalked all of the paper edges to add dimension and shape. 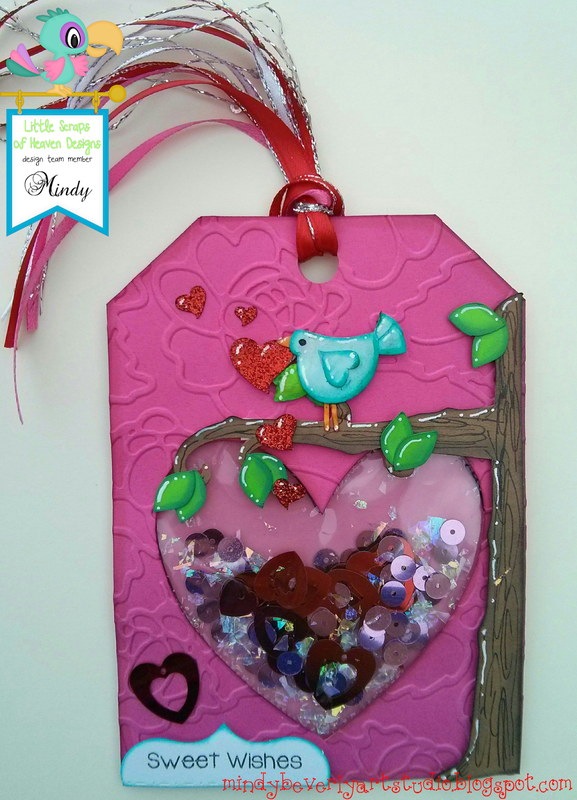 After that I embossed the front panel of my tag with my Big Shot to add some texture. I then assembled the Bird and Tree Pattern and attached them to the front of the tag. Next I created the heart shaker pocket with my new Fuse Tool. I just traced the heart window onto a plastic protector sheet and then used the Fuse to seal the heart shaped pocket half way. I then filled the pocket with various sequins, and then used the Fuse Tool to finish sealing my heart shaker closed. After that I just cut out the heart shaker and then attached it behind the heart window on the front panel of my tag. To finish I used foam tape to attach the front and the back tag panels together, and then I added red and pink ribbon to the top. Thank you so much for stopping by, and I hope that you all have a Wonderful day!! Happy New Year Everyone! 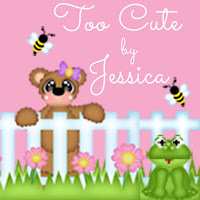 Today I want to share with you my second January Design Team Project for My Besties Meet at the Scrappers Corner. 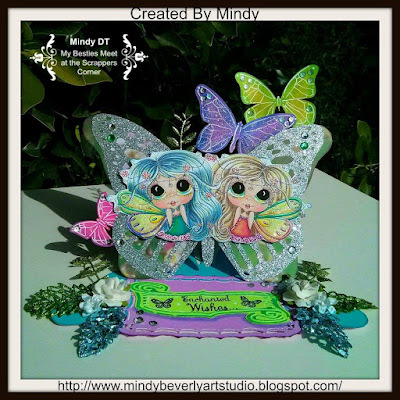 For my project, I created this whimsical Besties Fairy Butterfly Easel Card. 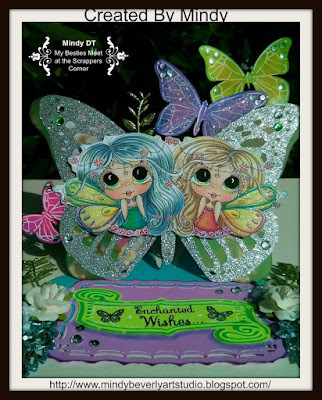 For my card I used the Gorgeous Bestie digital stamp by Sherri Baldy called Twin Fairies that you can find here: http://www.mybestiesshop.com/store/p2435/Twin_Fairies_Bestie_digi_stamp_.html. 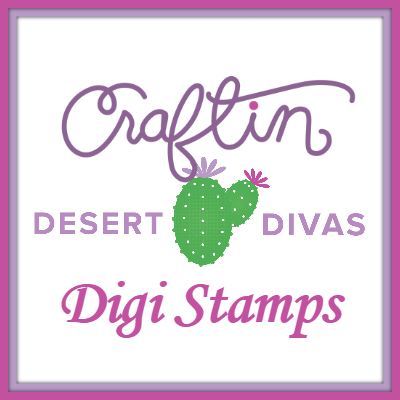 To create my card, first I sized and printed out the Bestie digital stamp onto plain white card stock. I then colored the image with Copics and Prismacolor Premier Pencils. Once I was done coloring the image, I then used a clear glitter pen to accent the wings and flowers on the fairies. After the glitter was dry, I fussy cut out the digital stamp and set it aside. Next I created my butterfly card base. 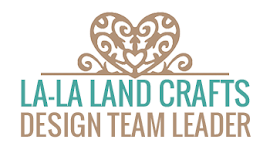 To do this I just selected a butterfly image from the Cricut Design Space Library and duplicated the image. I then layered and welded the images together, added score lines, and then duplicated a third detailed layer for the front of the easel card. I then added 3 more butterfly shadow images and sized them to accent the edges of my card. Once I was happy with my design, I then cut out all of the pattern pieces with my Explore in glitter, plain, and patterned card stock. Next I inked and chalked all of the paper edges to add dimension and shape. I then used Tim Holtz distress ink to shade each of the small shadow layer butterflies, and used a white gel pen to add all the tiny details to their wings. After that I assembled all of the easel card pieces and then attached my Bestie digi stamp onto the front of the card with foam tape for some added dimension. I then used my Cuttlebug and Spellbinders dies in my Big Shot to cut out my sentiment, and sentiment frame. Next I inked and chalked them, and then attached the sentiment to the bottom of my easel card. To finish I added flowers, rhinestones, glitter stems, and sequins to embellish my card. I hope that you enjoy my card, and I invite you to join in our current challenge over at My Besties Meet at the Scrappers Corner Challenge Blog that you can find here: http://meetatthescrapperscorner.blogspot.com/. Don't forget that our challenges are always anything goes using a Bestie image. Good Evening Everyone! Tonight I want to share with you a Little Fox Valentine Card that I made! I also used the Fancy Frames Dies From CDD. To create my card first I made the card base out of basic shapes in Design Space. I then uploaded the Little Fox pattern, and sized the image to fit my card perfectly. Once I was happy with my design, I then cut out all of the paper pieces in plain, patterned, and glitter card stock. Next I cut out my mats with the Fancy Frames Dies with My Big Shot. After that I inked and chalked all of the paper edges on both the pattern pieces and the mats to add dimension and shape. I then assembled everything and attached all of the pieces to my card base. 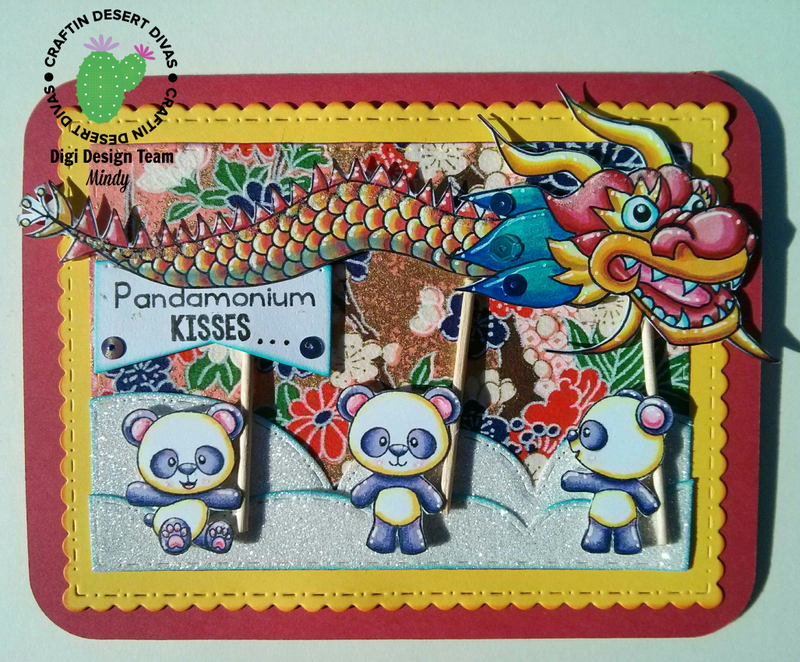 For my project, I made a Panda Pals Chinese New Year Card. When I was deciding on a card to make to go with the Linky theme, I knew right away that I wanted to use the Panda Pals stamp set. Then the idea of making the pandas celebrate Chinese New Year got stuck in my head, so I just had to make a little Dragon to go with them to complete my scene. To create my card first I cut the mats and frames using the Fancy Frames Dies in plain and patterned card stock. I then cut the snowy hills with the Fancy Frames Dies and then the Stitched Scallop Dies in glitter card stock. I did this so that the snowy hills would fit perfectly inside the inner frame. 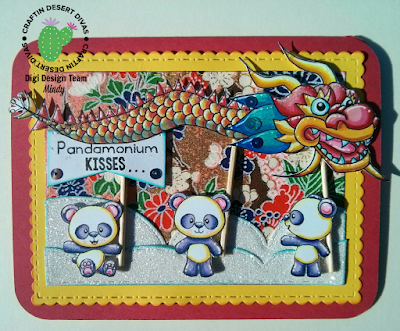 Next I stamped the little panda images from the Panda Pals stamp set onto plain white card stock, and then hand drew the Chinese Dragon onto white card stock. I then colored all of the images with Copics and Prismacolor Premier Pencils. After I was happy with my coloring, I fussy cut all of the images and set them aside. I then assembled all of the card base pieces, and then attached the dragon and panda images using foam tape for some added dimension. After that, I cut down some toothpicks and glued them onto the panda hands and onto the dragon. To finish I cut one of the banners from the Fancy Frames Dies and then combined two of the sentiments from the Panda Pals stamp set for my sentiment. I then added some of the Mermaid Lagoon Sequins to the dragon and sentiment for some extra sparkle. Hello Everyone! Today I want to share with you my Design Team Project Snow Time Friends Card for the Leinzlove Tear Bears Challenge Blog. 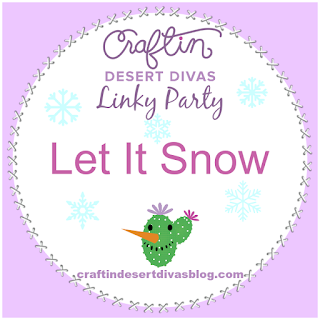 For my card I used the Adorable Digital Stamp from PpinkyDollsArt on Etsy called Lily with Snow Sisters that you can find here: https://www.etsy.com/listing/210256180/instant-download-digital-digi-stampsby?ref=shop_home_active_2. 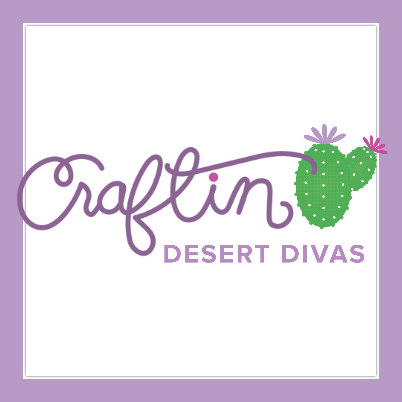 To create my card first I created the card base and mats in Cricut Design Space out of basic shapes. I then cut out the pieces with my Explore in plain and patterned card stock. Next I inked and chalked all of the paper edges to create dimension and shape. After that I assembled the card base and then set it aside. 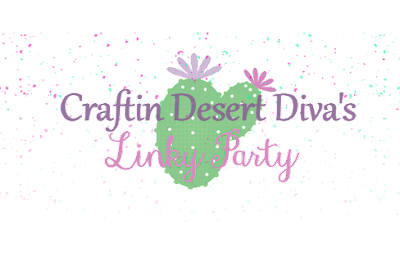 Next I printed the Pinky Dolls digital stamp onto plain white card stock. I then colored the image with Copics and Prismacolor Premier Pencils. After my image was colored in, I then used Lukas Watercolors to paint the background sky, and then used a white paint pen to add the falling snow. 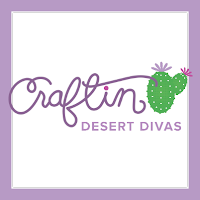 After I was all done with my image, I then used the largest Fancy Frames Die from Craftin Desert Divas that you can find here: http://craftindesertdivas.com/fancy-frame-dies/ to cut out my scene. Next I inked and chalked around the frame edges for added dimension. To finish I attached the digital stamp to my finished card base, added sequins, flowers, snowflakes, and rhinestones for extra sparkle and embellishment! Hello and Happy New Year! 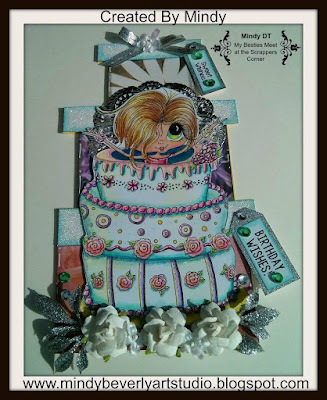 Today I want to share with you a Besties Cake Party Card that I created for one of my January Design Team Projects for My Besties Meet at the Scrappers Corner. For my card I used the Darling Bestie Digital Stamp by Sherri Baldy called Cake Party that you can find here: http://www.mybestiesshop.com/store/p2230/Cake_Party_My_Besties_digi_stamp.html. To create my card first I printed out the Bestie digital stamp onto card stock and then colored my image with Copics and Prismacolor Premier Pencils. I then used a clear glitter pen to accent some of the flowers, and the cake edges. Once I was happy with the finished coloring, I then fussy cut the digital stamp and set it aside. 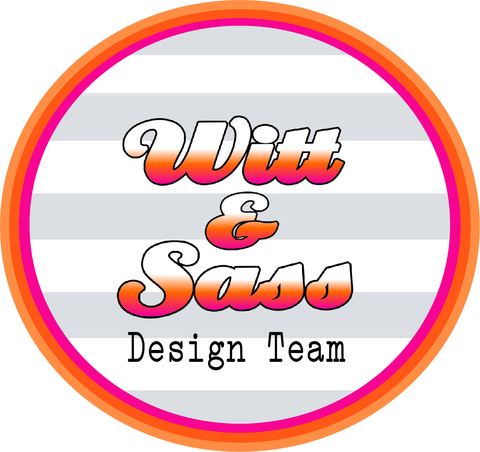 Next for my shaped card base, I used the stacked presents card base from Bird's Cards and just uploaded the svg into Cricut Design Space. I then sized the card base to fit my Digital Stamp perfectly. Once I was happy with the design, I then cut out all of the pattern pieces in patterned, glitter, and plain card stock with my Explore. Next I inked and chalked all of the paper edges to add dimension and shape. I then assembled everything and attached my Bestie to the front of the card with foam tape for some added dimension. To finish I added ribbons, sequins, flowers, rhinestones, and some stamped sentiments. I hope that you enjoy my card, and also hope that you will join in our current challenge over at My Besties Meet at the Scrappers Corner Challenge Blog that you can find here: http://meetatthescrapperscorner.blogspot.com/. Remember our challenges are always anything goes using a Bestie image. Come and join in the fun for a chance to win some fantastic Bestie Prizes!